A meditation community (a Buddhist sangha) is a laboratory to which one can bring different states of heart-mind-body and see what happens to them after minutes, hours or days of specific practices. Now, we don’t stay in a kitchen or physics laboratory for too long without knowing what we intend to cook or experiment with. Similarly, we need an initial intention or aspiration before we enter a spiritual laboratory so that we can sharpen the right knives, bring appropriate raw materials to the table or say set the oven temperature right. The role we want a contemplative community to play in our lives can change with time. We might start with one aspiration and fall into another one over time. However, it is a worthy exercise to attempt to be aware of what our current aspiration is and to keep that aspiration in mind to make our engagements with the community and/or teacher(s) more alive. We can gather for a sense of belonging – to simply be with goodhearted human beings – to not feel so isolated in our modern lives where traditional social structures of extended families and/or childhood friendships are diminished. Or where people we most bond with do not live in the same place as we have ended up living and where it is easier to connect with gadgets and machines instead of human beings. We are social animals and undoubtedly one important reason why people gather at faith-based centers or other intentional communities is to fulfil a very basic human need – a need to belong, a need to be inter-dependent and a need to express our innate compassion and to mourn our losses and to celebrate our togetherness. A healthy sangha is a manifestation of our deep inter-connection or inter-dependence with each other and allows for emergence of co-intelligence. Ideally, with time entire universe feels like our sangha and our true home. Another reason to show up for meditation might possibly be developing good concentration. All meditation techniques help develop concentration or focus. In a culture where new technologies are constantly bombarding us and competing for our attention, it is good to give up distractions and focus on something as simple as our breath or a body sensation. There are hundreds of studies that demonstrate astonishing effects of different kinds of meditation on our concentration. A distracted mind can not be deeply compassionate or be skillfully aware of human or more-than-human world’s needs. At other times, one might want to approach a meditation community to develop equanimity in the midst of all-consuming stories, stresses and anxieties of our lives. Sometimes, we don’t even know we were anxious until we sit down and feel that our heart rate is high or that our body is tense. Being in silence, especially when around people we feel psychologically safe with, is healing in itself. On top of that external silence, when we experience inner silence and spaciousness (e.g., we spend more and more time in the space between an in-breath and an outbreath), stressful thoughts, sensations or situations become refreshingly distant or diluted! Our conscious thinking mind comes to a rest. It is true: sometimes, meditation (not unlike psychotherapy) can bring us face to face with our deepest stresses and it may seem that our anxieties have increased. In the long run, however, meditation brings serenity and energy. For many of us, meditation can not and probably should not replace psychological counselling but it offers a unique perspective to our suffering. Some of us aspire to inquire at the deepest level “Who am I?” What is our relationship with the universe after death? Science tells us that we are made of star-dust: same energy, waves or particles that the entire universe is made up of. If that is true, how do I realize that I am energy? Many mystics have found their answers to such questions when the the barrier between their conscious “thinking” mind and our collective unconscious (or what we call “Big Mind” in Zen) has dissolved. 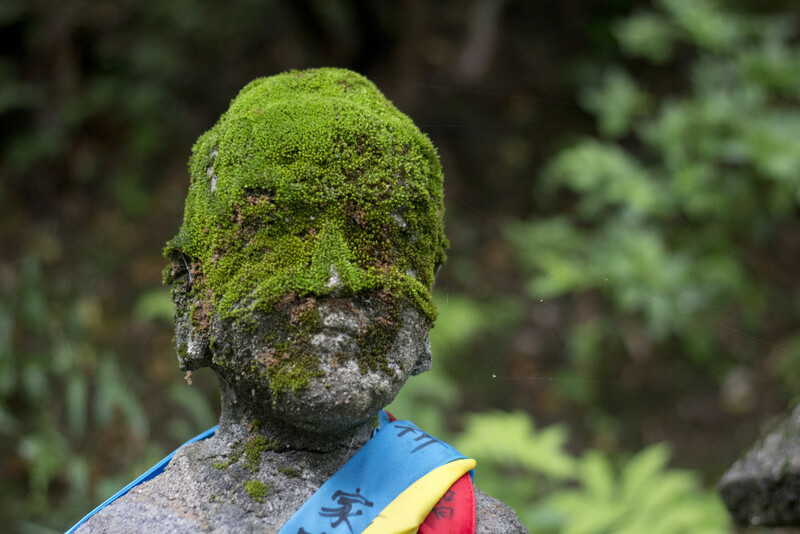 It is important to consider that, for one, a Zen is not a religion (certainly not a typical religion with a “God” or something that necessarily requires faith in a sacred text or institution), and answering “Who am I” requires letting go or loosening of our pre-existing belief systems. When one drops into this boundless Big Mind, one moves away from a thinking mind that reasons, creates stories, contrasts, compares or judges. When we reside for a long enough time at the door between the unconscious and conscious minds, something amazing starts happening. We tend to become and remain playfully goal-less, especially on the cushion! The goal of practice then becomes becoming goal-less. As it turns out, thankfully, genuine practice doesn’t allow us to stay goal-less. In addition to immediate stresses related to our relationships or places where we live or work, without even realizing it, ongoing ecological and widening socio-economic inequalities tug bother us subconsciously or unconsciously. Sooner or later, travelers of a meditation path know in their bones how they are connected to everything and if they are so inclined, that connection gives them deep courage to work through ten thousand joys and the thousand sorrows in the world. We no longer have to distract ourselves away from our social and ecological crisis because we are afraid of grief, anger and confusion that is inevitably associated with injustice and loss of human and more-than-human lives. Once again, if we are inclined and have ongoing support of ecodharma communities, we can strategically act to alleviate suffering in and around us. At the heart of meditation practice should be unending curiosity, not unlike that of a scientist who keeps asking questions as well as doing experiments to “penetrate the mystery”. Deep and sustained meditation practice also requires openhearted patience of an artist. If and when circumstances change, it asks us to not get too rigid about our aspirations and human goals. The capacity to access non-reactive boundless nourishing stillness is in everyone. Seated meditation practices are there to help us develop a new way of life that is in touch with our deepest conscious and unconscious selves and that unconditionally serves the oneness of life. The extent to which meditation practices make our new way of life radical depends of all of these aspirations. None of these “aspirations” is more important than others. In fact, unless these aspirations complement each other over time, our meditation practice might become lopsided. We can’t hold all aspirations close to our hearts at all times. Different aspirations guide us at different times in our lives and we need to ask ourselves which of these aspirations resonate with us now: self-awareness, sense of wonder, curiosity and openheartedness serve both us and our world well irrespective of our current aspiration. For meeting all of these aspirations, constant practice and guidance are helpful. So what is your current or deepest intention? What animates your meditation practice?